Lindsey J. Palmer Archives - Joelle Delbourgo Associates, Inc. 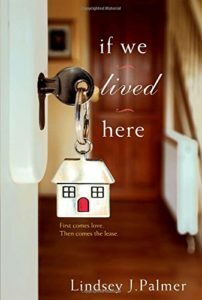 Razor-sharp and thought-provoking, Lindsey J. Palmer’s incisive new novel both celebrates and skewers modern relationships and their milestones, offering a witty and wise look at what it takes to commit–to love, to a home, and to the life that’s right for you. 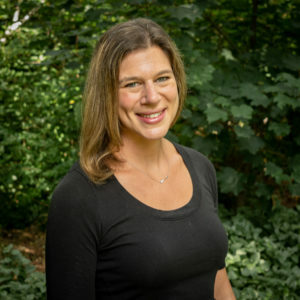 Lindsey J. Palmer, worked for many years as a professional writer and editor at Glamour, Redbook, and Self, and now she teaches AP Literature and Creative Writing at a public high school in Manhattan. Her first novel, Pretty in Ink (2014) was a Women’s Health book club pick and caused Lindsey to be named a Target Emerging Author. Find Lindsey at lindseyjpalmer.com, @lindseyjpalmer, and facebook.com/lindseyjpalmerauthor. 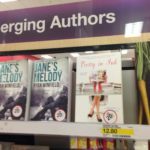 Lindsey J. Palmer’s PRETTY IN INK spotted at Target! We love when this kind of thing happens. Especially love seeing this debut author included in Target’s “Emerging Authors” display. We couldn’t agree more! 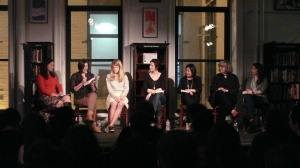 Here’s our very own Lindsey, book in hand, participating on a panel of debut women writers. Of course, PRETTY IN INK hardly reads like a debut novel. This girl’s a pro! 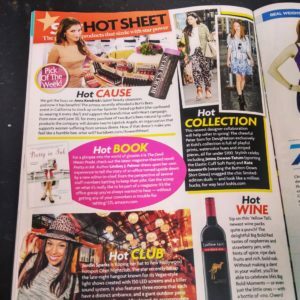 PRETTY IN INK in this week’s Star magazine! Kudos to Lindsey J. Palmer, our own “star.” It’s on the Hot List! 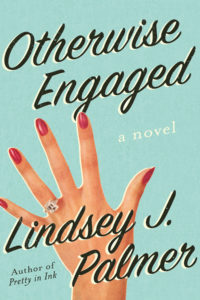 Set in the fast-paced world of women’s magazines, this dishy debut novel from a former magazine editor establishes Lindsey J. Pa lmer as a stand-out young novelist to watch. For years, Hers magazine has been a fixture on newsstands–relatable, reliable, and ever-so-slightly frumpy. But with sales slumping, Hers’ editor-in-chief soon finds a pink slip in her inbox. And her ruthless, blisteringly high-heeled replacement may not be finished cleaning house yet. . .
Leah Brenner suspects she won’t be on the payroll much longer either. A telecommuting, breast milk-pumping mom of three doesn’t mesh with her new boss Mimi’s vision of a sleeker, younger-skewing Hers. Not content with nabbing Leah’s office, Mimi’s protégée, Victoria, is itching to take over Leah’s duties too–and she’s not alone. As the summer rolls out, and staffers are asked to give up even their sexiest secrets to save the brand, everyone at Hers–the sycophantic new assistant;the photo editor who’s sleeping with her boss;the Ivy League intern with oversized aspirations–will fight to keep her career, and some shred of dignity, intact. Smart, perceptive, and hilarious, Lindsey Palmer’s debut delivers an all too true-to-life tale of very different women faced with high-stakes choices in a rapidly changing–yet utterly familiar–world. In the “how cool is this? !” department, thrilled to learn that Lindsey J. Palmer’s delicious debut novel, PRETTY IN INK, has been chosen by WomensHealth magazine as their 60 second Book Club pic!